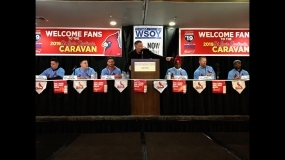 January 21, 2019 – Cardinal fans packed the Decatur Conference Center and Hotel for the 2019 Cardinal Caravan. Fans heard from Past and present Cardinals, and got autographs. Check out the video.